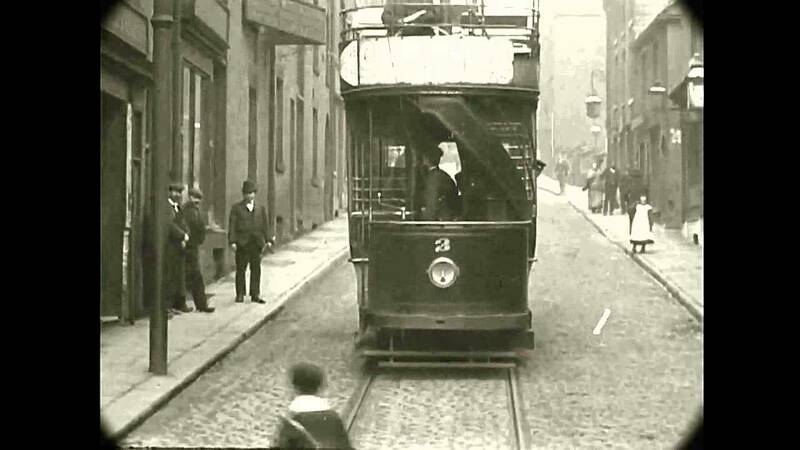 To see this historic tram trip round Rochdale in 1900, left click on the photo below. Fascinating film Brian. Recognise some of Spotland Road and Bridge but unsure about the earlier section. Any clues? Starts off outside what is now Denehurst Park on Edenfield Road, but then was the entrance to the Turner’s residence (of TBA fame), then we see Passmonds House (now an old folks home). It then heads towards Norden. At 45 secs it is passing through Norden village. At 1.37 it is at the Parish Church of St Paul Norden. It then switches to travelling the other way having left Norden village. At 1.50 I think it is travelling up Blackwater Street, towards Spotland Road. At 2.32 it is on Spotland Road travelling towards Spotland Bridge. At about 3.18 it is outside my mum’s house on Spotland Road near where RAP was printed. At 3.40 it has stopped at the bottom of Rooley Moor Road opposite the old Alderglen mill.